Prof. Tao-chung “Ted” Yao, professor emeritus in East Asian Languages & Literatures of the University of Hawai’i at Mānoa, passed away on September 19, 2015, after a lengthy bout with lung cancer. A graduate of Soochow University in Taipei in 1968 with a degree in English Literature, Prof. Yao came to the U.S. in 1969. In 1973, he earned an MA in Asian Studies with a focus on Philosophy, from Seton Hall University, and in 1980 a PhD in Chinese Language and Culture, with a focus on History, from the University of Arizona. Over the course of a long career, Prof. Yao taught at the University of Arizona, the University of Massachusetts, Mt. Holyoke College, the Ohio State University, and the University of Hawai’i. He retired on May 31, 2012. 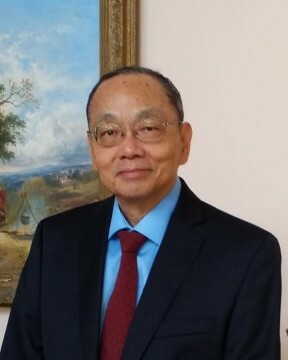 In his career, he published the following Chinese language instructional materials:The Character Book, a workbook to accompany Read Chinese Book One, co-authored with Timothy Light, New Haven, Connecticut: Far Eastern Publications, Yale University, 1985. Let’s Play Games in Chinese, co-authored with Scott McGinnis, Lincolnwood, Illinois: National Textbook Company, 1989. Let’s Play Games in Japanese, co-authored with Scott McGinnis and Mineharu Nakayama, Lincolnwood, Illinois: National Textbook Company, 1992. Reading Chinese for Proficiency: An Introduction to Signs, New Haven, Connecticut: Far Eastern Publications, Yale University, 1994. Level One, Workbook, 1997, 2005 (Revised edition), 2008 (Third edition). Level One, Character Workbook, 1997, 2004 (Revised edition), 2008 (Third edition). Level One, Teacher’s Manual, 1997. 2005 (Revised online version). Level Two, Textbook, 1997, 2006 (Revised edition). Level 2, Part 1, Textbook, 2010 (Third edition). Level 2, Part 2, Textbook, 2010 (Third edition). Level Two, Workbook, 1997, 2006 (Revised edition). Level 2, Part 1, Workbook, 2010 (Third edition). Level 2, Part 2, Workbook, 2010 (Third edition). Level Two, Character Workbook, 2002. Level 2, Part 1, Character Workbook, 2010 (Third edition). Level 2, Part 2, Character Workbook, 2010 (Third edition). Level Two, Teacher’s Manual, 1997. 2006 (Revised online version). Chinese Language Instructional Materials and Pedagogy, Co-editor, Beijing: Beijing Language and Culture University Press, 2006. Di-wu-jie guoji Hanyu jiaoxue xueshu yantaohui lunwenji (第五届国际汉语教学学术研讨会论文集 Collected papers from the Fifth International Conference on Chinese Language Pedagogy), Co-editor with Yongsheng Zhu, Beijing: Shijie tushu chuban gongsi, 2007. Currently, the Integrated Chinese textbook series is the most widely used Chinese language instructional text in the U.S. In addition, Ted authored over 60 articles on language pedagogy, testing, and religion, and contributed to dozens more. Ted became a national leader in assessing Chinese language proficiency. He developed and published the Computer-adaptive Test of Reaching Chinese (CATRC); served on the Chinese committee for the Chinese SAT (Scholastic Aptitude Test) II for seven years, and was the chief reader for AP (Advanced Placement) Chinese for five years. In November, 2010, the Chinese Language Teachers Association honored him with its Ronald A. Walton Lifetime Achievement Award—its highest prize, established in memory of a man who had devoted his life to Chinese language education. In his retirement, he continued teaching and working on miscellaneous articles, the last of which will be published posthumously. He is survived by his wife and longtime companion, Kuang-Tien Chang, his son James Yao, daughter-in-law Vicky Wang, and two fine grandchildren: Alexa and Dylan Yao.